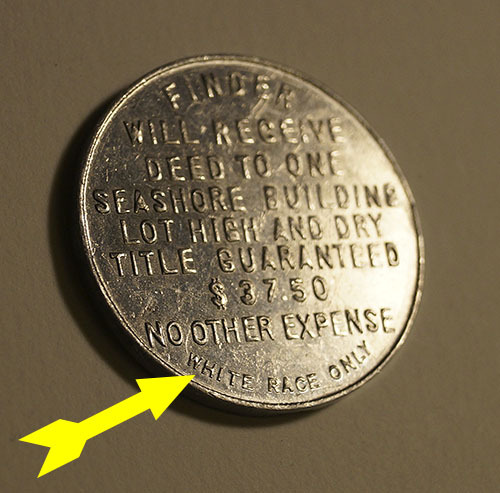 This metal token from the 1940’s says “Finder will receive deed to one seashore building lot high and dry title guaranteed $37.50. No other expense. 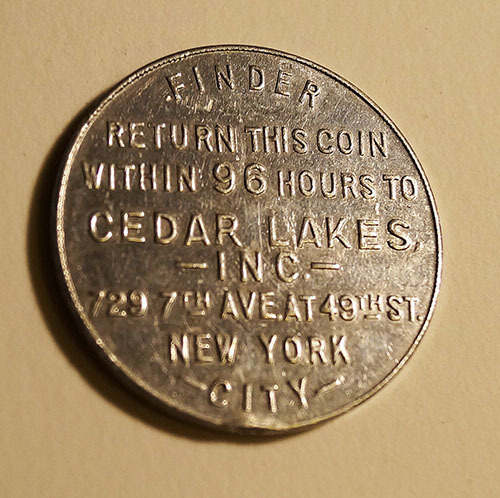 Finder, return this coin within 96 hours to Cedar Lakes Inc. 729 7th Ave at 49th Street NYC. WHITE RACE ONLY“. This was issued in the 1940’s as land promotion.